Hopefully I'm posting this in the right place, I've been looking around but haven't been able to find what I'm looking for in terms of threads. 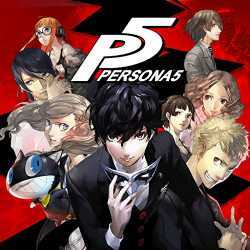 Would anyone have the animation files for Persona 5? Or at least point me in the right direction? I'm making a little present for a buddy of mine who's obsessed with Persona. Specifically the Protagonist and Mona, from Persona 5. I've managed to collect all the character files I need but I'm coming up completely dry on any animations. I've never actually tried ripping animations before, and I'm trying to hold off on buying the game just to give an attempt at ripping out the animations myself if I can avoid it. Wouldn't want to waste the time and funds for it if I end up not being able to do anything.